Twenty-five years ago, the founders of Alsim shared a vision to develop a flight training device to unite different aircraft types into one simulator. Today, Alsim has more than 350 certified flight training devices in service with more than 250 clients worldwide. 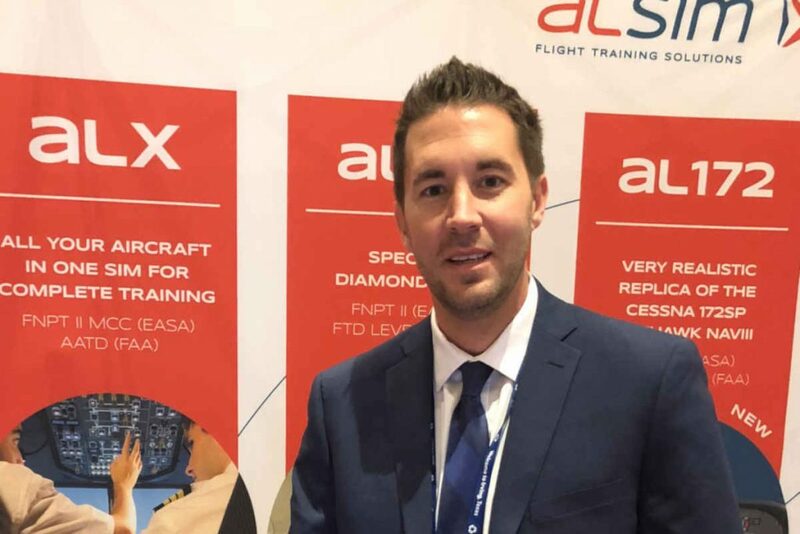 WINGS spoke with Scott Firsing, who in 2017 became Alsim’s first hire, as sales and business development manager, for its new North American operation. Below, Firsing shares insight into Alsim’s progress over the past 25 years, its position in Canada, and simulator innovation in aviation. How did Alsim’s founders build a new sim strategy? One of the founders was an Air France pilot, Jérôme, and Jean-Paul was a software developer. Jérôme was concerned that flight training was becoming more push-button rather than truly learning how to fly an airplane – memorizing a cockpit and pushing buttons. We had a product called the AL200 MCC, which a lot of operators in Canada still use today, with 18 different flight aircraft in it, from a 172 all the way up to twin-engine jet… that was really unique at the time. It essentially evolved into the ALX, which has now been out for eight years and is our best-selling simulator. We have about 80 ALXs worldwide. How is Alsim unique now? Immersion is something we are known for. Most of our technology is done in-house for both reliability and innovation purposes. For example, we had a new visual system that came out in 2016 and we have another one coming out in the near future. Because we develop our own technology, we are able to upgrade, modernize and listen to our clients’ needs. Why is immersion important to flight training? People used to always think of simulators only for instrument ratings, but now they can be used for a lot more, especially beginning at your PPL level. Some flight schools have their students spend 10 to 20 hours in a simulator before they even see a real aircraft, a more military style approach. 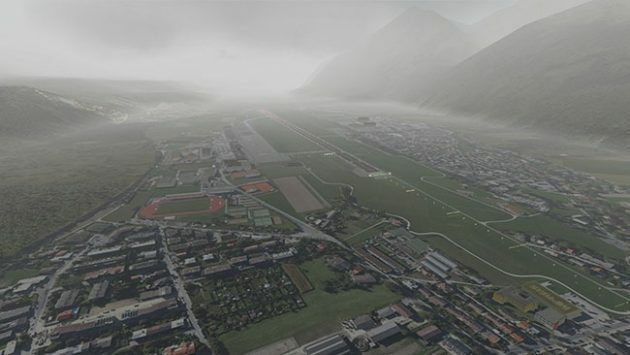 [With our visual systems] you are able to learn your home airport because we do 3D custom airports for our clients, to fly more realistic patterns or cross countries. We hear compliments about our visuals, but also for how our simulators fly more like an aircraft, with an electro servo-drive force feedback system. The first ever AL250 was sold to Pacific Flying Club outside of Vancouver. They had the older AL200 and needed another device. Essentially, AL250 is all of your piston aircraft in one simulator. We noticed the ALX could be a little bit pricey for a lot of flight schools and it has a big physical footprint. We took a lot of the best technology and [learning] with ALX and shrunk it down into the fully enclosed AL250. We have sold over 25 in the past two years. How was 2018 for Alsim? We sold close to 50 simulators last year and that is a big jump for us. Alsim would typically sell between 10 and 15 simulators a year… and then two years ago we sold closer to 30 and now we are looking at above 50 for this year. The AL250 is a big part of that. ALX continues to sell quite well as does the AL172, which is a Level 5 type device. We sold four of those into the U.S. alone last year. What contributed to this growth? More applicable products and, of course, logging hours is important from both a business and training perspective, especially in Canada with Level 2 for IPCs and Level 5 for certain elements. [However] it’s not just logging three hours for your PPL. Students should get 10, 15 or 20 hours in the early stages of training or if they are struggling on a certain issue. Put them in the simulator instead of the aircraft, because we all know the aircraft is not the best place for the training of certain elements, financially or learning wise… And also because of the pilot shortage and new and used aircraft prices have gone up. Why is the Airliner sim important? The Airliner is something we launched last year as the final step of our ab initio product range. The ALX simulator has jet flight models with FMS and other features, but is closer in physical size to a turboprop-type King Air simulator, which is why it is quite popular in Canada. Moreover, the airlines and flight schools are now working together. So we decided to build the Airliner to help bridge that gap – quite a big gap – between your 100-hour pilot and a type rating on a regional, larger jet. It is going to be generic in a sense that it is close to 737/320 aircraft, but it will take a lot of lessons we learned from the ALX evolution and multi-crew training. Why is Canada important to Alsim? Canada is a very important country for flight training with more and more foreign pilots coming to Canada for it. We have a rich history in Canada. Some of our Canadian operators like Pacific Flying Club have been with us for over 15 years. [In 2018, long-time clients Montair and Super T added new Alsim systems]. Why is the Super T order important? They are a perfect example of growing partnerships and affiliations. They recently signed a partnership with Medicine Hat College. They are going to keep their older AL200, which they have grown to love over the years, and have the ALX installed in April with newer avionics for items like GPS approaches, newer visuals, and the dual FMS complex overhead for advanced systems training. How is the sim market changing? There is a lot more fixed-base simulation. We do not do motion because most of it is done with your eyes, over 80 per cent in fact. There is a shortage of aircraft – Boeing and Airbus are trying to produce as much aircraft as they can. Piper, Textron, Diamond, we are all pushed to capacity with the pilot shortage and even with full flight simulators. So a lot more people are turning to fixed-base simulation. Even airlines are working with regulators to push for more fixed-base sim training. This helps our market, particularly the Airliner for $650,000 to $800,000 compared to $10-$20 million for a full flight, so you can do a big chunk of that in training, the airline preparation training. In the end, hopefully this will improve the washout rate at the regional airlines as well. Thanks to ICAO and others, there’s a worldwide push toward competency-based training, not strictly how many hours a pilot has. Canada is making movements in this way with ATOs and CBT, and that really ties everything together. Our simulators will help fit those needs with the evaluation, with the tools we are going to be incorporating over the next few years, to ensure the pilots are ready and then, of course, increase aviation safety.